Hamilton actors: Who’s played Alexander in theater, TV and movies? Alexander Hamilton’s stock is worth much more than the $10 bill these days. 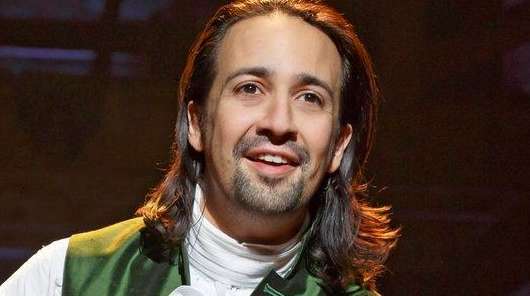 “Hamilton,” the hip-hop-flavored musical about the first secretary of the treasury, is the hottest ticket on Broadway, and the show’s creator, Lin-Manuel Miranda, who also stars as Hamilton, is sure to reap multiple Tony nominations come May 3. And while he may be the most notable actor to play this Founding Father, here are some others who’ve starred as Hamilton on stage, screen and television. GEORGE ARLISS Nearly a century ago, a nonmusical titled “Hamilton” was also on Broadway, starring the long-forgotten English actor. Arliss repeated the role in the 1931 film version, retitled “Alexander Hamilton,” which focused on his efforts to establish America’s financial structure. ARTHUR SPACE The actor had little screen time in “Magnificent Doll,” a fanciful 1946 biopic about Dolley Madison, but he did get to duel to the death against Aaron Burr (David Niven). JACK BENNY In a 1962 episode of his TV series, the penny-pinching comic dreamed he was Hamilton, who also dueled with Burr (Benny sidekick and crooner Dennis Day). Hamilton loses, but dies happy knowing that his face, and not Burr’s, will grace the $10 bill. ROSS MARTIN John Wayne’s flag-waving 1970 special, “Swing Out, Sweet Land,” was a hodgepodge of comedy, songs and drama featuring numerous celebrities as historic figures, including the “Wild, Wild West” star as Hamilton, along with Lorne Greene as George Washington, William Shatner as John Adams and Hugh O’Brian as Thomas Jefferson. HARRY SHEARER Though best known as the voice of Ned Flanders on “The Simpsons,” Shearer got to voice Hamilton in the 1990 episode “Bart Gets an F,” in which Bart Simpson imagines himself among the First Continental Congress while studying for a history exam. BRIAN F. O’BYRNE The Irish actor starred in a 2007 episode of PBS’ “American Experience” that focused on Hamilton’s life from being born out of wedlock on the Caribbean island of Nevis, through his leadership at the Battle of Yorktown, and his role as secretary of the treasury.